Free for personal -non commercial- use. Please be sure to read the license before any use of the font. 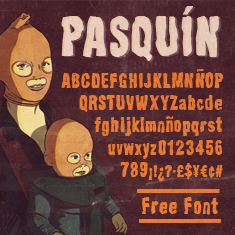 You can use my fonts for free on personal non commercial stuff. 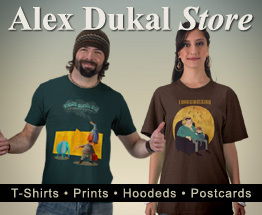 Alex Dukal is an illustrator born and raised between the wastelands, wind and sand from Patagonia Argentina. He works for publishers from all around the world, enjoying and illustrating with passion different kind of projects, mostly for children. He uses this website to publish some of his latest works.